Every time you whack a dollop on a breakfast roll, dunk a chip in it or smother your full Irish fry in it, that text on the bottle is always staring back at you. What's it all about then? 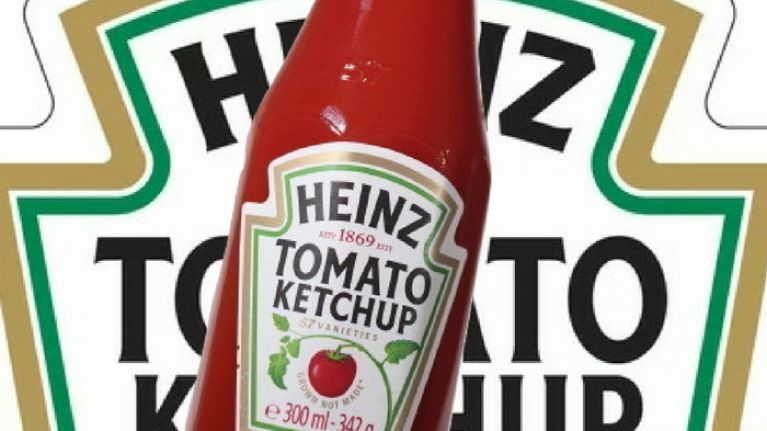 What do the words '57 varieties' on every bottle of Heinz tomato ketchup actually mean? It's probably something you instantly recognise, but have never questioned...until now, the day that Heinz's famous old red sauce turns 140 years old. There's obviously a story behind it - and it's a strange one. You'd imagine it's probably because Heinz have 57 products available on the market, however, if you've ever been down the sauces aisle in your local supermarket, you'll know there's way, way more than that. The reason for that magic number goes back to 1896 with the company's founder Henry J Heinz. According to the Heinz website, he was riding a train when he spotted a shoe advert that caught his eye. 'While riding a train in New York City in 1896, Henry Heinz saw a sign advertising 21 styles of shoes, which he thought was clever. 'Although Heinz was manufacturing more than 60 products at the time, Henry thought 57 was a lucky number. Who knows, maybe this little piece of trivia will pop up in a pub quiz one day? If so, you're welcome.